Special Olympics China was founded soon after an inspirational visit from Sargent Shriver, longtime Chairman of the Board Emeritus, in 1985. It is now the largest Special Olympics Program in the world with 1,204,172 athletes and participants! But it is not easy to provide quality training and competition opportunities to all of these athletes.
" People with intellectual disabilities were no longer invisible." The Christmas Records Grants (totaling $1,763,293 since 1988) have helped families, athletes, and the Special Olympics China staff bring together people with intellectual disabilities (ID) through sport. These grants have also helped people with ID become respected and included in China. When A Very Special Christmas was first released people with ID were not treated as equals in many parts of China. But in 1987, two years after Mr. Shriver's visit, Special Olympics China held the first National Special Olympic Games for 304 athletes. Then, in 1990, Special Olympics China received its first Christmas Records Grant to buy sports equipment for the growing number of athletes. The Program also receives government funding through the China Disabled Persons' Federation. The combination of this money and the Christmas Records Grants helps to provide the basics for Special Olympics China. But the Program wants to do more than the basics. In 2000, when the government committed to reach 500,000 athletes by 2005, “the money began pouring in," said Daisy Cao, Senior Director of Organizational Development of the Special Olympics East Asia Region. Soon, Special Olympics China became the fastest growing Special Olympics program in the world. At that same time, Shanghai had won the bid to host the 2007 Special Olympics World Summer Games. Athletes and their families were suddenly publicly celebrated. Leading up to the World Games, hundreds of thousands of dollars of Christmas Records Grant money made it possible for China to recruit many more Special Olympics athletes. Celebrities like Yao Ming, the NBA star and Special Olympics Global Ambassador, attracted a lot of the world's media to the World Summer Games. 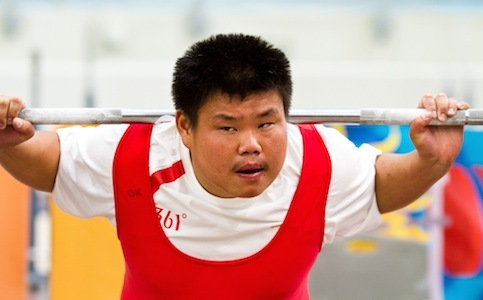 The media showed the Chinese public the successes of Special Olympics athletes and put them in the spotlight. Families who had once been ashamed of their children were now putting them in special schools and into Special Olympics. People with ID were no longer invisible; Special Olympics had forever changed the lives of people with ID in China. Special Olympics China continues to focus on ways to grow and raise more funds in the future. With more money, the Program can open more community centers which offer activities and services to people with intellectual disabilities. Special Olympics China will be able to involve more people in Unified Sports; more coaches will be trained; and there will be more support for the growing number of volunteers. Most importantly, more athletes will be able to compete and experience the joy, friendship, and empowerment that Special Olympics provides.